Access to the CWR is completely free but, subject to the discretion of our leadership team. 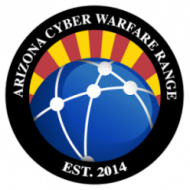 Given the nature of a live fire, cyberwarfare range, high availability is our goal, but range uptime cannot be guaranteed. For mission-critical range usage, we offer special ranges to members of our ISAO and our sponsors. Contact us at our Online Range (AZ01) about setting up a special range. To establish access to the CWR we require your name, a valid mobile phone number that you have access to all the time, and your email address. We have created an “Identity Bank” for all of our users. This Identity Bank allows us to protect your privacy better while ensuing single sign-on and other identity-related services. If you do not have an account at our Identity Bank you will need to create a free account.